Sorry, I haven't posted in a while. Life gets busy and crazy and I just run out of steam. 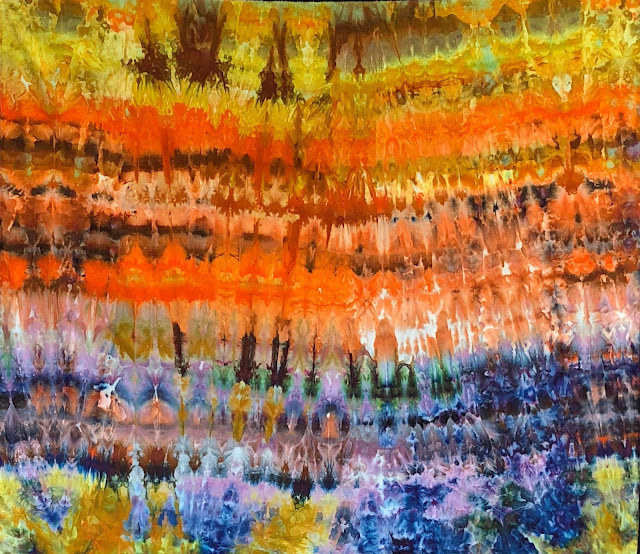 Today I updated the Fall Dye Workshop Schedule. 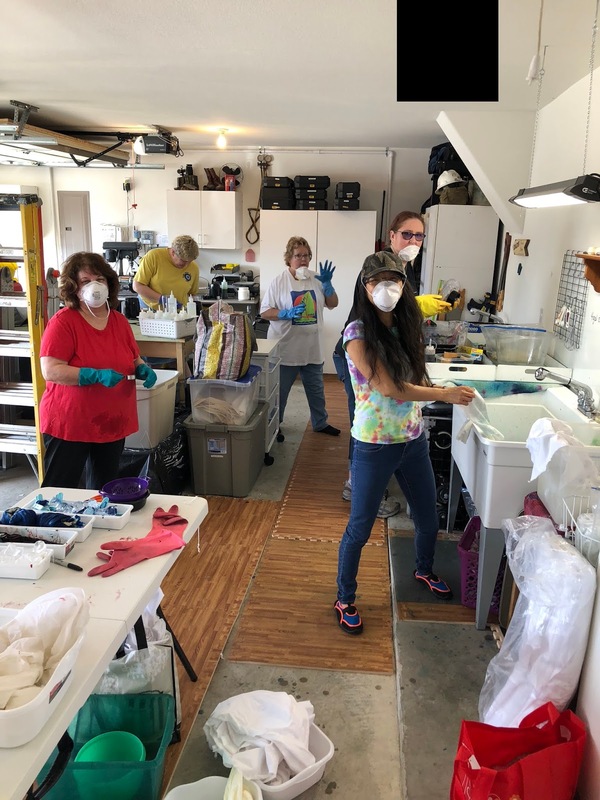 Please contact me if you would like to come to a workshop or rent the Dye Studio. 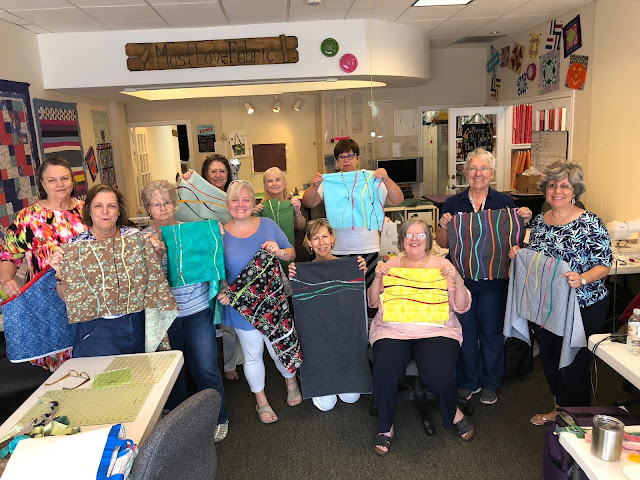 If the day you want to rent the Dye Studio is scheduled for a class, contact me and if no one has signed up for a class, the Dye Studio is yours! I'm easy on scheduling. I am starting to limit the number of people in a class. 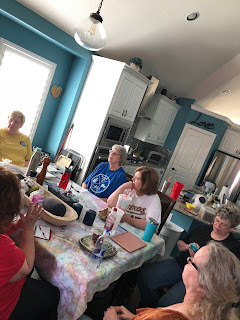 It seems we can get more done with a smaller group and it is less stress on everyone. UNLESS, you are one of the groups that has rented the studio before and you are comfortable working around each other. FYI, for the locals. 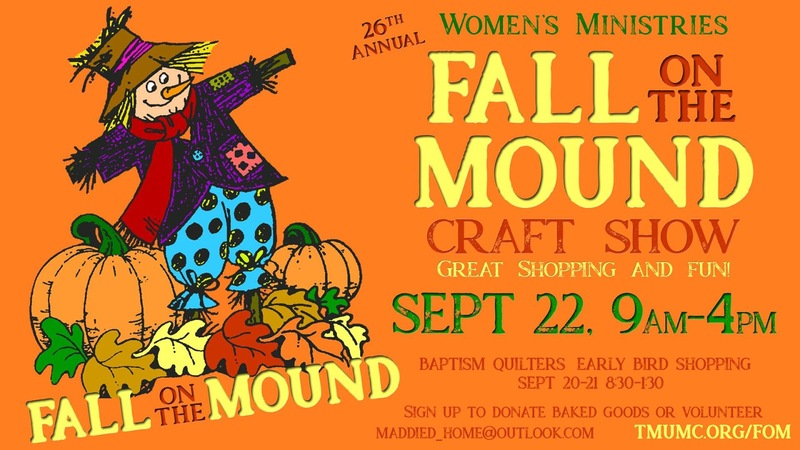 I will be vending at Fall on the Mound at Trietsch Memorial UMC in Flower Mound on September 22, 2018. 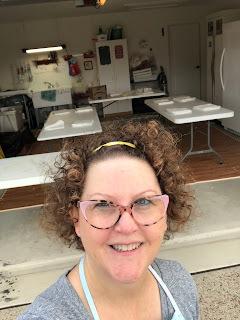 My booth will be in the Family Life Center, against the windows facing Marcus High School. Come see me! 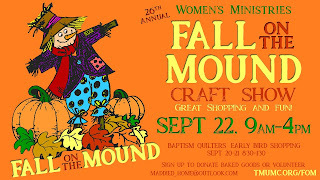 I will have art quilts, hand dyed clothing, quilted journal covers, aprons, hand dyed make-up bags, pillows and much more! As usual, I’m behind on my bog posts. With that said, I have had the best week teaching. 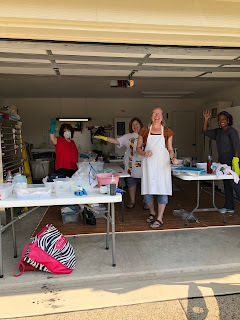 Last Saturday, Brenda Keith, with Quilt Shop in the Oaks in Abilene, came with three other wonderful, funny and absolutely awesome ladies for a dye day. 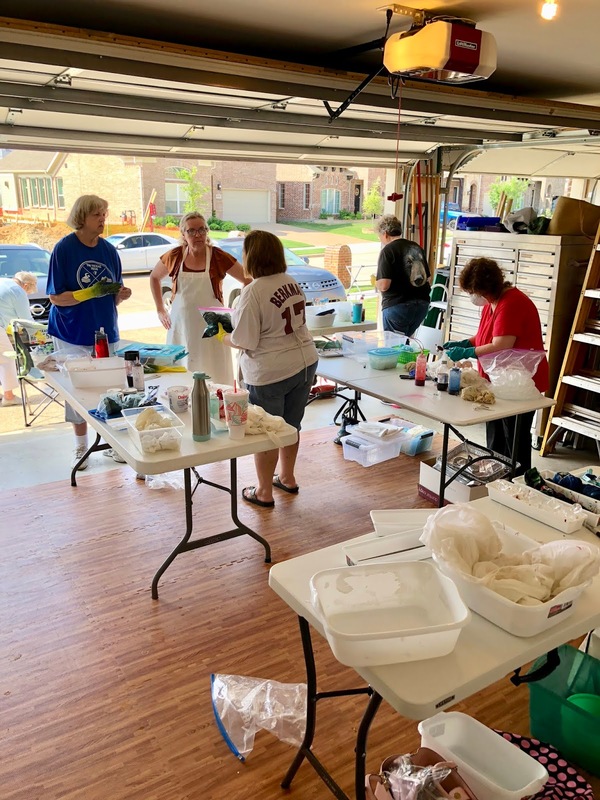 These ladies were great, open to learning new things, making a mess and cleaning it up before they left. I truly enjoyed the day of dyeing, showing them new methods, laughing and feeling like I was a new part of their sisterhood. 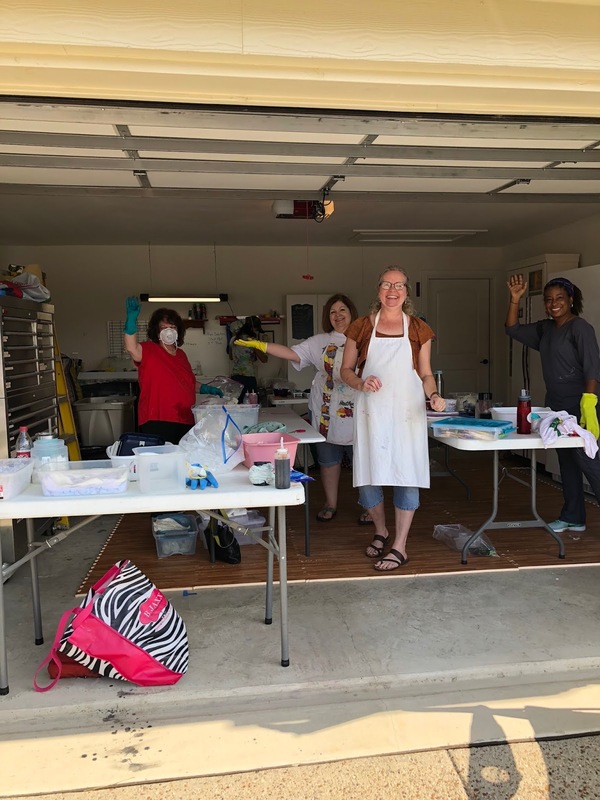 Thank you Brenda, Maria, Cheri and Terrye for the fun day! I can’t wait to get Show n’ Tell pictures! Yes, I had to get in on the dying action by making a "sample" piece. Yesterday I had another great day teaching at Must Love Fabric in Grapevine. 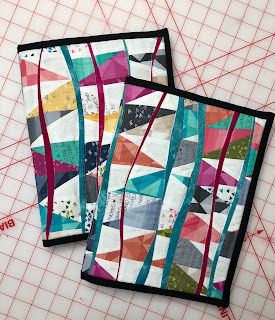 My ladies learned my favorite piecing process, Wave Piecing. 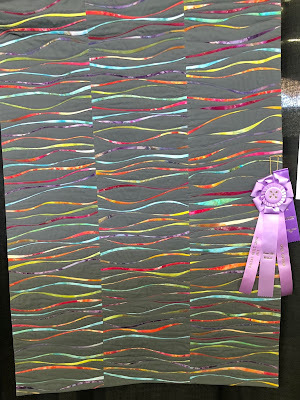 Yes, this is the method I used on my quilt “Prism Refraction” that won an Honorable Mention at the Dallas Quilt Show this year. I had 11 ladies, some I new already; the others are now new friends. We spent the day getting past needing a straight edge and being able to cut with a flow. This method is so freeing and you are able to channel your “Inner Improv”. Thank you ladies for the great day and wonderful conversations. I was on a “teaching high” all evening. 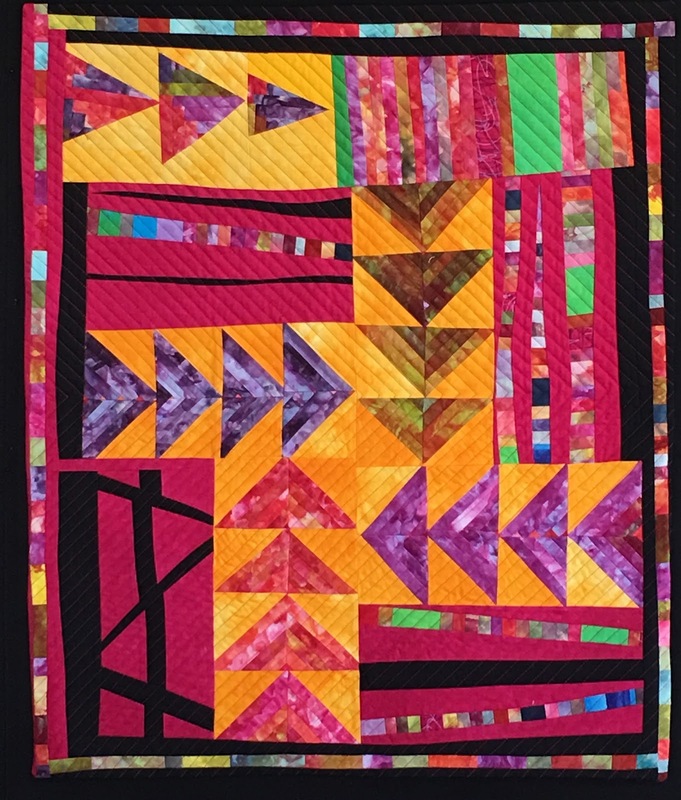 There have been several requests from other quilters to learn how to create the wave piecing that I have been doing for several years. 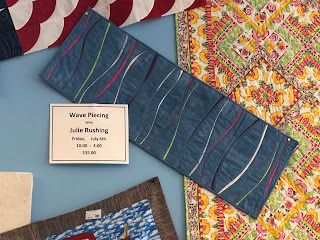 July 6, 2108 at 10am I am teaching the "Wave Piecing" class at Must Love Fabric in Grapevine, TX. Class is from 10-3 and is $35. 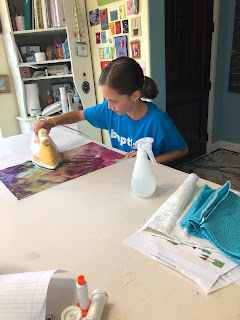 In this class you can make a table runner or start on placemats. On August 8, 2018, there will be another "Wave Piecing" class and we will create Journal Covers for composition books. 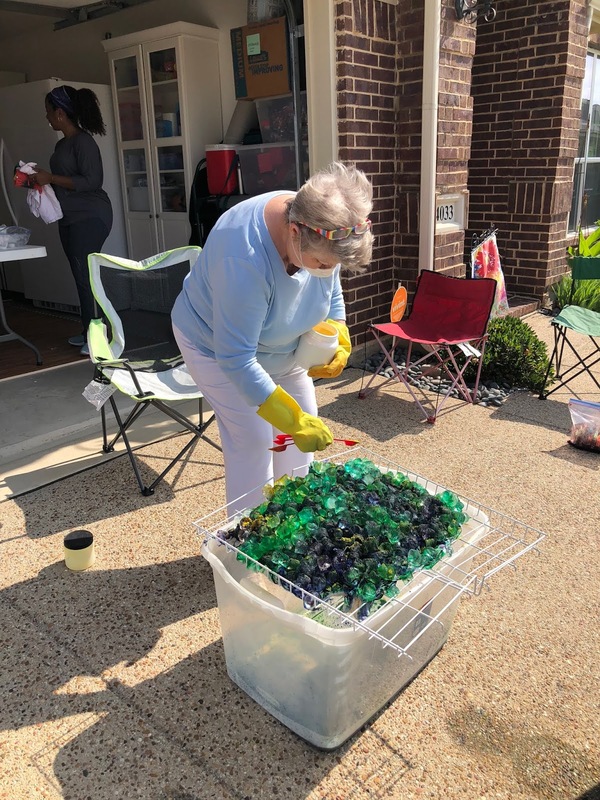 Come join us and have a great time learning a new process. I promise, my classes are fun! Just ask some of my former students. Call Must Love Fabric to sign up for the class - 817-488-6764. I just checked with the store and there is plenty of room in each class. 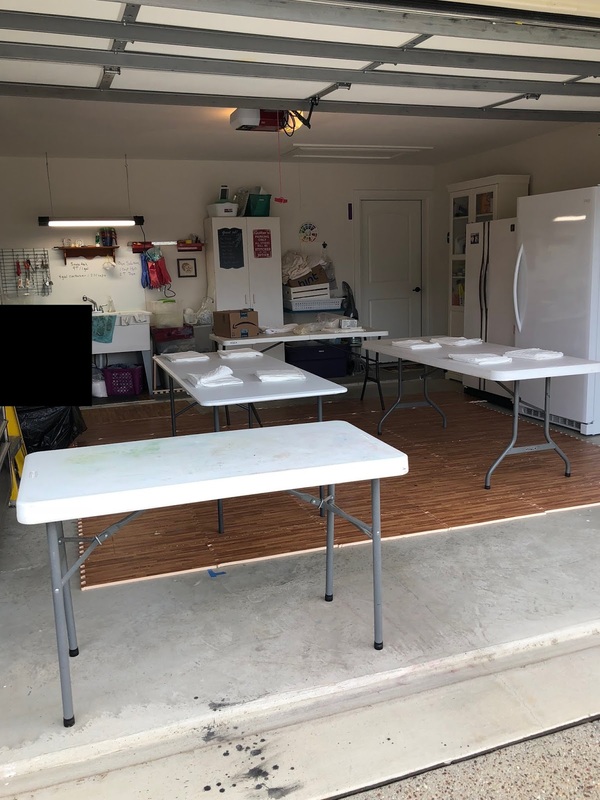 Dye Studio all set up! First, I have to apologize to Prince Harry and Princess Meghan, I had to DVR your big day. I'm watching as I make this post. I can't wait to see her dress. 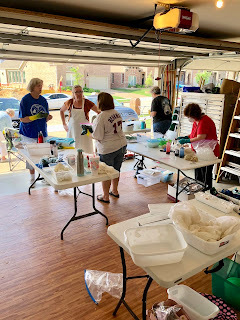 Today I had 11 of my fabulous SAQA NTX friends over for a "Dye Day". The weather was perfect, warm with a nice breeze, so it wasn't stifling hot or a wind blowing us away. 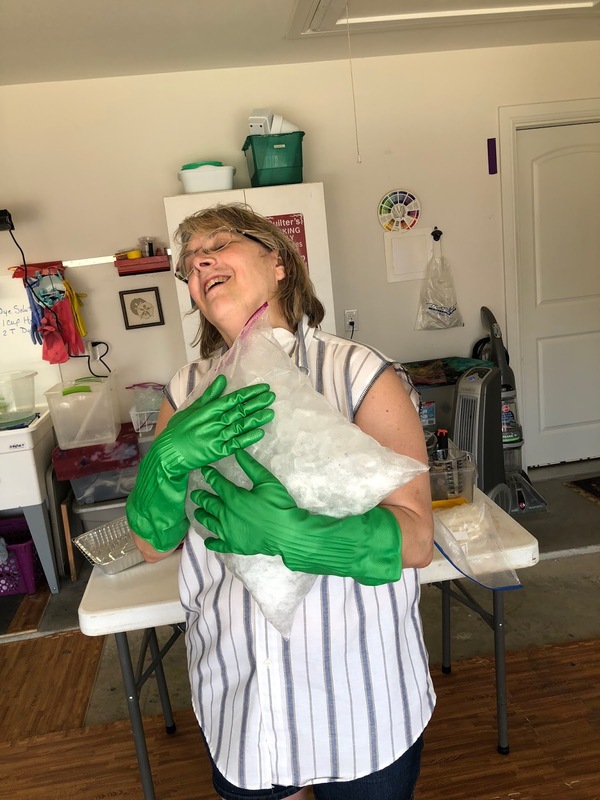 Just take a peek at the fun we were having today. Here I am, ready for all my friends to show up. 78% humidity and my curls are out of control. 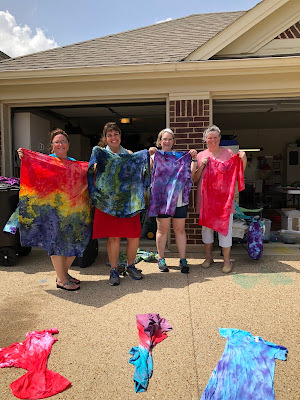 Great time of dyeing and sharing. I love these ladies! Time for our lunch, SAQA meeting and Show and Tell. 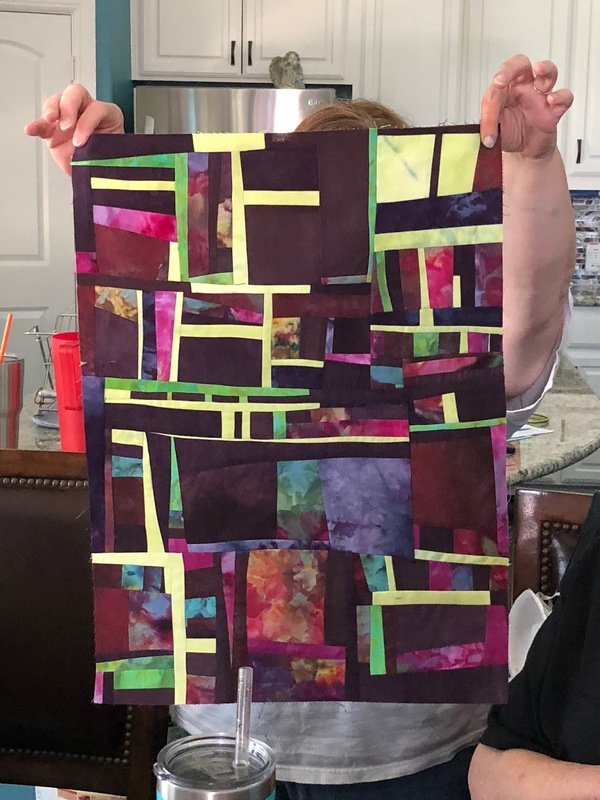 Heather Pregger brought a piece that she made out of the Hand Dyed Scrap Bundle that she bought from me at the Dallas Quilt Show. 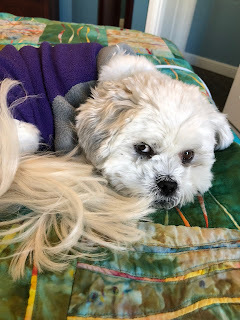 Sew, I'm going to watch the Royal Wedding and relax now. Thanks for coming over SAQA NTX, it was a Day to Dye For! New Products in the Etsy Shop! 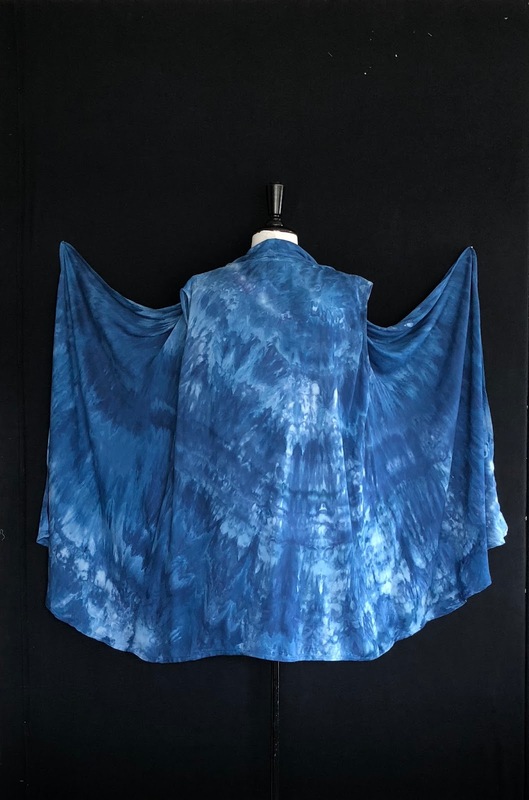 Since I sold out of Long Waterfall Vests at the Dallas Quilt Show, I ordered more and they are all dyed and ready for you! Sizes Small to 2 XL are now in the Etsy shop for you! New fabrics will be loaded in Studio Jules Art in Etsy tomorrow. 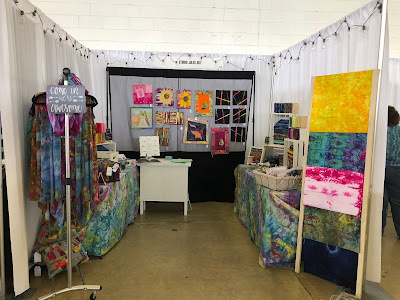 I've been working hard rearranging some of my studio space since the Dallas Quilt Show. 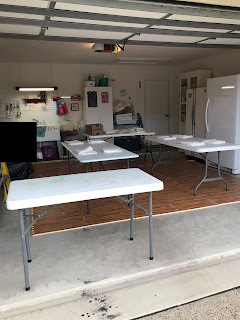 I need to quit using the kitchen as my office and make the back room my office. So furniture is being given away to family, furniture is being moved and a new desk is in the thought process. I think the desk is going to be a DIY project. When all is said and done, there will be pictures. Right now it is an ugly mess. Boy, I've been in recovery mode since the Dallas Quilt Show. 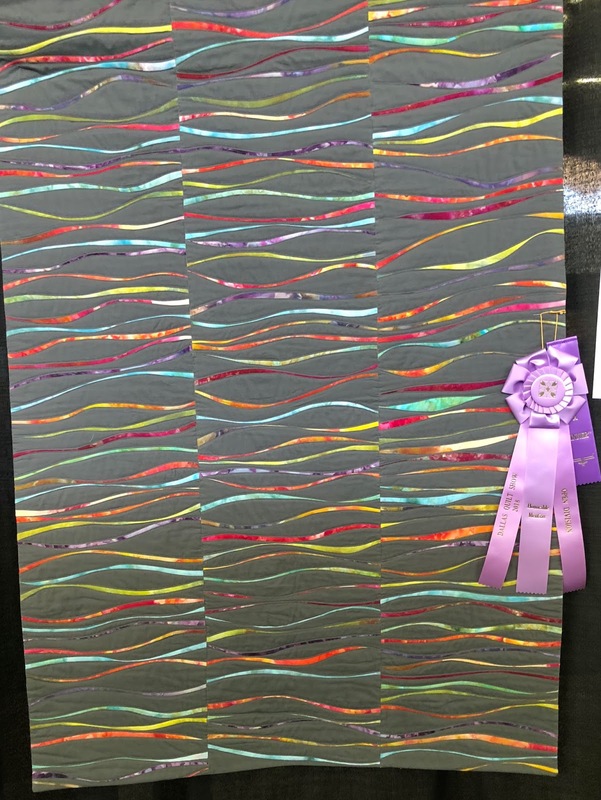 It was a great show and I won an Honorable Mention for Prism Refraction. My sweet daughter came to her first quilt show and to support me at the show. I'm so blessed! Since I have been home, I've been catching up on administrative things and slowly I'm adding new things to the Etsy Shop. I'm also gearing up for Dye Classes, so if you are local, or if you want to travel, check out my Workshop and Classes section and contact me for a dye workshop. If you have a group that wants to spend the morning in the studio, I love having groups come over to dye. 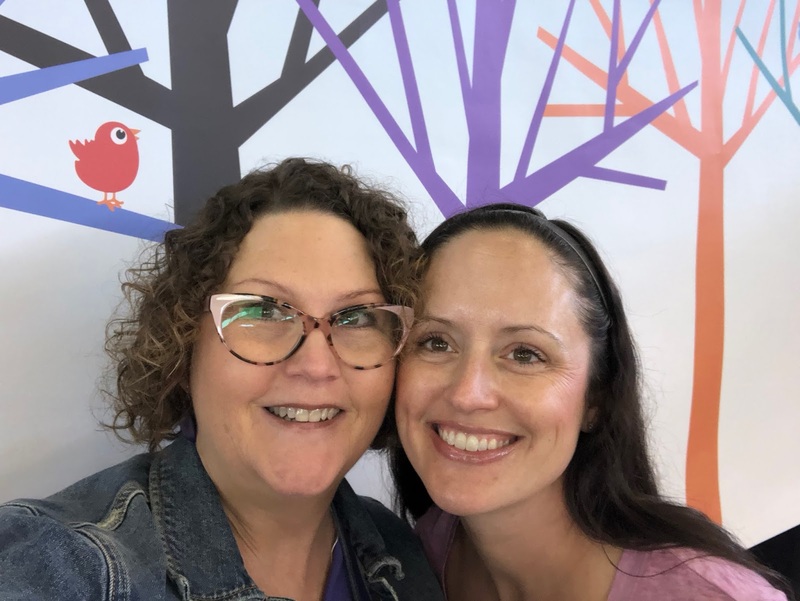 We have so much fun in all my classes! Keep your eyes on my class schedule. 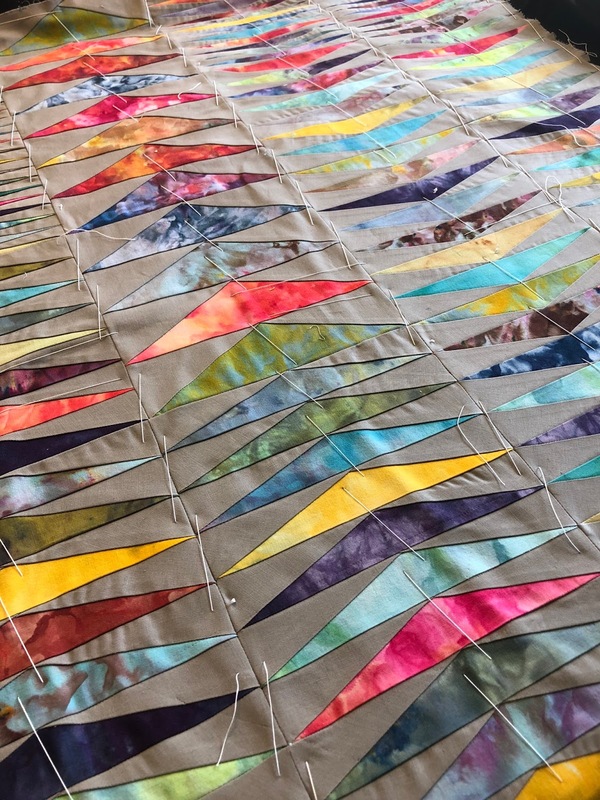 Quilting classes will be posted for the summer when it is too hot to dye. Just a little crazy and behind on posts here. 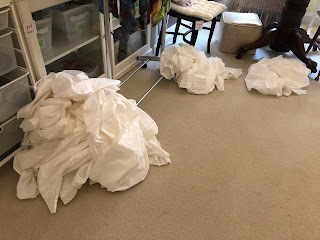 Time is counting down for the Dallas Quilt Show at Market Hall and I'm still dyeing fabric, finishing a quilt, making flyers, organizing my inventory and oh yes, coming down with Bronchitis. Luckily, I ran to the Dr. and got a steroid shot and meds before it went too far and I'm on the mend. Several days in bed didn't help my stress level, but hey, what happens happens and what gets done, gets done. Right? 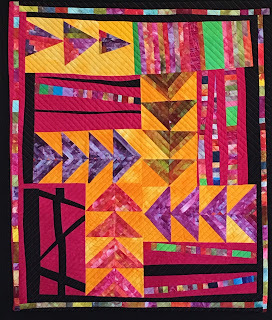 So, come to Dallas, March 9-11, 2018, and see the Dallas Quilt Show at Market Hall. 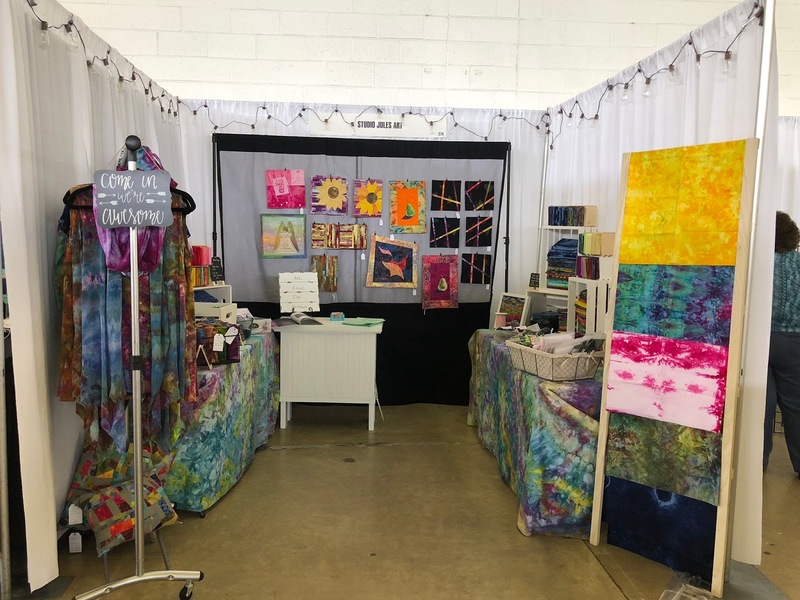 I promise you will love the show and come by my booth, say "Hello", shop for fabric, clothes and notions and sign up for a dye class! Check out the Calendar of Classes and Workshops page for 2018 Dye Workshop dates. 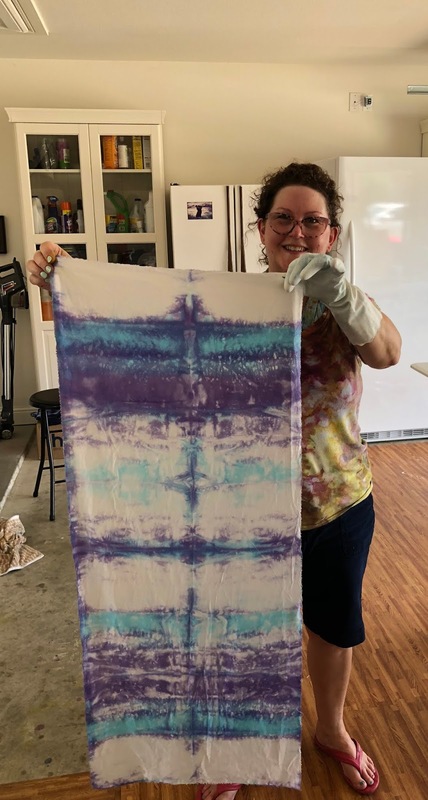 Fun times in the Dye Studio! 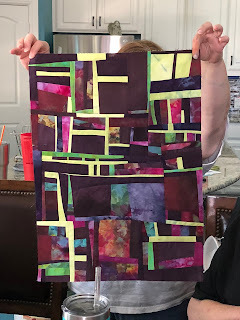 Quilting Classes TBD! Stay tuned. 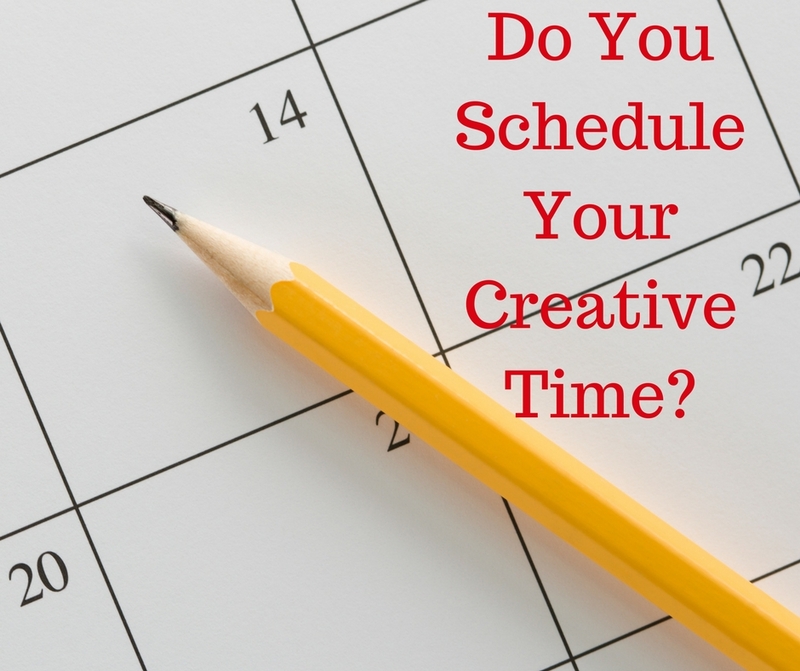 Do you schedule your creative time each week? Each day? Each month? Do you have things on your calendar that you routinely do every week? This is what I try to do. 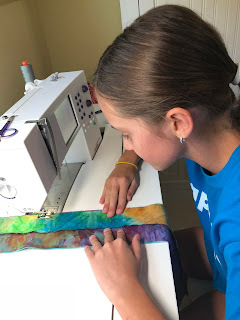 I have days that I have dyeing fabric and quilting scheduled on my calendar and try and I mean try not to book anything else on those days and times. 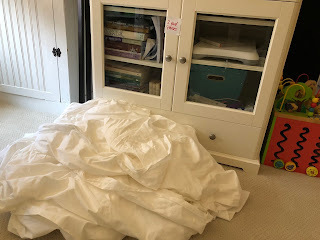 Some days I can't get around it and have to schedule a doctor's appointment or the washer repair dude, but I try my best to keep my schedule. Otherwise, I may not get anything done. So, tell me, let's have a discussion about how you manage your creative time. What's feeding your creative spirit today? Besides Pilates, I'm not sure how much time I will get to spend in the studio today. It's a busy day with Dr. appointments, pilates and then the monthly guild meeting of the Quilter's Guild of Dallas. 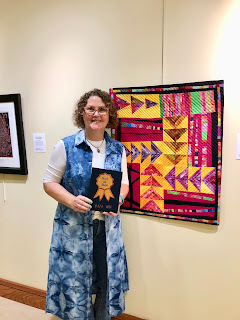 I would really like to spend some in the studio working on small art quilts, but I think I will just have to be happy with petit point while at the doctors office. This picture is of ice dyed fabric that is in my Etsy shop. 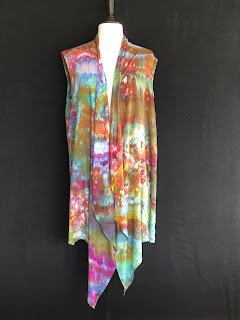 Click on the caption for a link to the fabric. 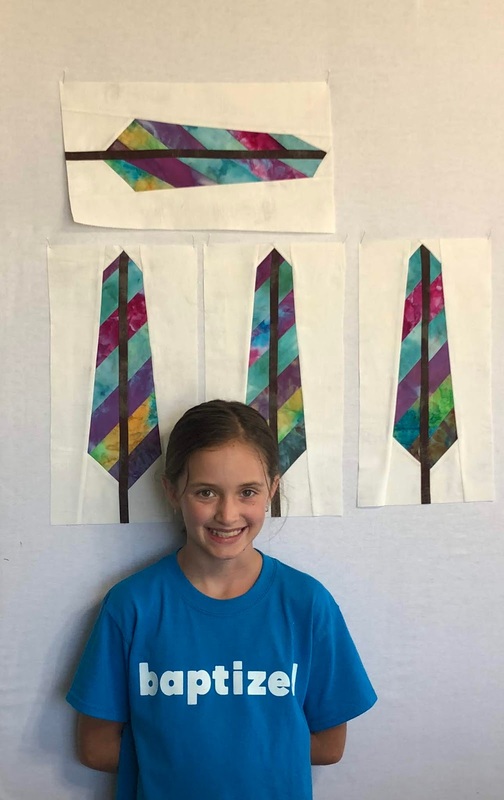 What creative groups are you connected with? 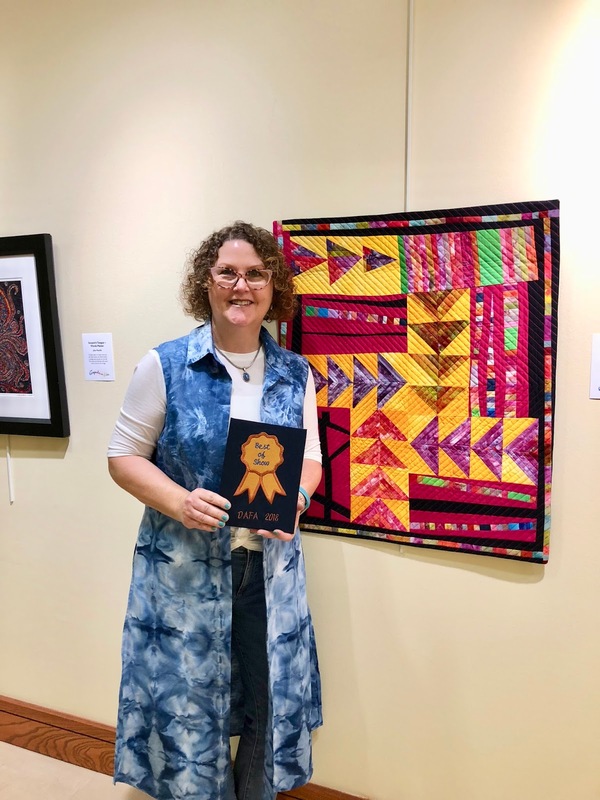 Besides my daily setting fabric on to dye and working on small art quilts, today I'm going to submit artwork for the Dallas Area Fiber Artists Annual Show. I have two pieces to submit this year. 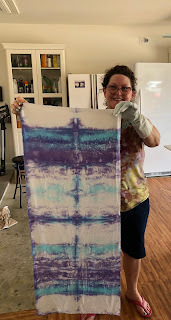 This picture was taken during an indigo/shibori dye class I took a few years ago. What are your creative goals this week? 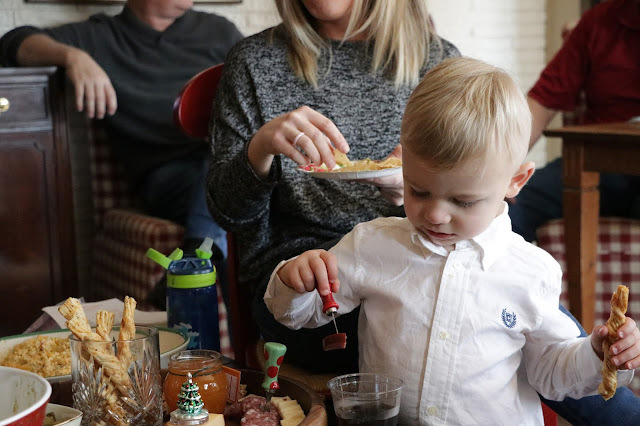 Are you making plans for February? Whether you creative to sell, compete or just for fun, enjoy the process.